WHITESTONE, N.Y.–Â NASCAR is a male-dominated sport. Most people know that the majority of race car drivers areÂ predominantly men. However, since the late-1990’s, there has been an increase in the amount of women which want to be racers. For some reason, women were not too interested in being race car drivers. It could have been because back in the day, NASCAR was about being mean and aggressive. Now, NASCAR competition has changed drastically, giving women an even playing field compared to every other sport where men never compete against women. However, NASCAR, along with motorsports in general, is the only type of athletic competition where both genders can be equally strong. NASCAR saw a great example of that at Daytona in February of 2013 where Danica Patrick became the first female driver to win a NASCAR Sprint Cup Series pole award, let alone for the Daytona 500. Patrick’s pole was increasingly significant as NASCAR has been searching for a younger fan base. Having a woman driver start up front for the “Great American Race” showed the world that women can get the job done. Thus, NASCAR’s Drive for Diversity program has several women involved in the program, helping these young women become like Patrick in many ways. Over time, NASCAR has seen several women drivers attempt to run full schedules, competing for championships across all three of the top-three NASCAR divisions. 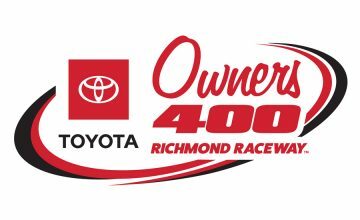 Besides that, women drivers have been attempting to run the ARCA Series and the NASCAR K&N Pro Series East and West divisions, attempting to brand themselves by developing experience, hoping to earn that sponsorship like every male driver on the race track. The first true woman driver of NASCAR was Sara Christian. She only ran seven NASCAR sanctioned races, but it was during the inauguralÂ 1949 season where the sport was forming in Daytona Beach, FL.Â Though there were several other women drivers from 1949-1955, women drivers stopped participating in NASCAR for quite sometime. However, Janet Guthrie changed all that. Besides being the first woman to race in the Indianapolis 500 in 1979, Guthrie had previously ran in NASCAR, including running the 1977 Daytona 500, Guthrie wanted to accomplish something that no woman had done before. Her name will forever be in the record books due to her integrity to compete against a thriving motorsports world that was beginning to be noticed on a national level. Guthrie earned her first career top-10 finish at Michigan, and followed that up with a sixth place finish at Bristol which is still the best finish by a woman driver in the NASCAR Sprint Cup Series. She was also the first woman to lead a NASCAR sanctioned lap when she led five laps at Ontario according to Racing-Reference. Then there was Patty Moise. Moise was not known for racing in the Sprint Cup Series, but she was the female pioneer of NASCAR’s second tier series which was titled the Busch Grand National Series when she began racing, otherwise known as the Nationwide Series. Though she was not the best of drivers, her longevity proved that she had what it took to succeed. Moise never earned a top-five finish in her 133 Nationwide Series starts. However, she was able to compete for the win at Road Atlanta in her sophomore season, leading 18 laps in the process. Oh, she owned her own car too back then. Moise eventually teamed up with owner Mike Laughlin in 1990, which led to more opportunities in the sport. Though she was not too successful, the way she broke into the sport, created more opportunities for women to come. The next woman that broke into the sport was Shawna Robinson. She’s known for making the Daytona 500 in the BAM Racing car which was severely underfunded at the time. Robinson started in the Nationwide Series a few years after Moise did. Ironically, she also ran with Laughlin’s team, but did not see any success. She was able to gain enough experience to receive a few rides sparingly, but did not race in any of NASCAR’s top-three divisions from 1996-200. Evidently, Robinson ran at Indianapolis in 2001 with Michael Kranefuss, who was a partner with Penske Racing. She only qualified for one of the four races which she attempted. However, running that one race was enough to catch the eyes of a female car owner. Beth AnnÂ Morgenthau had owned BAM Racing, and was just beginning the journey of entering NASCAR. The team did not run well until the mid-2000’s with Ken Schrader behind the wheel. When Robinson ran the 2002 Daytona 500, she became the first woman to do so since Guthrie did so. Robinson was eventually fired due to not performing to expectations. She bounced around smaller teams until 2005 where she decided to retire. Now, Robinson is an interior decorator. Tina Gordon, no relation to Jeff Gordon or Robby Gordon, also raced in the Nationwide Series and NASCAR Camping World Truck Series, but she was not too successful. Kelly Sutton was a Camping World Truck Series driver for a few years, but never received the opportunity to run a full schedule and ran with a smaller organization. Then came along Erin Crocker. Crocker was a development driver for Evernham Motorsports in the mid-2000’s. She ran multiple Nationwide Series races plus a full season in the Truck Series, but never recorded a top-10 finish. She was named in Jeremy Mayfield’s lawsuit against Evernham, claiming that Evernham did not go to the race track for the Cup Series races due to an affair with Crocker. Once she stopped racing in NASCAR, Evernham and she were married. Crocker still races today and is moderately successful on dirt tracks. Since Crocker has raced, there have been more women to race in the Truck Series. Jennifer Jo Cobb, known as the driver that runs severely off the pace, has been racing in the Truck Series for several years. She owns her own team, but is a starter and parker. When she does not park, she is usually a 25th-30th place truck. However, her career has had some bright spots with a top-10 at Daytona in 2011. Mike Wallace’s daughter, Chrissy Wallace, also attempted a few Truck Series races, but her career has been stalled due to a lack of sponsorship. Derrike Cope’s twin nieces, Amber and Angela, have been attempting to become NASCAR drivers as of recent years, but they have been running with smaller teams and have not had much success. Danica Patrick:Â Patrick is a former IndyCar Series driver that happened to fall in love with stock car racing. Well, that and Ricky Stenhouse Jr. Putting all jokes aside, Patrick is ready for a breakout 2014 season. She gained all the necessary experience she needed after being rushed to the Sprint Cup Series, now she should be a top-20 driver on a weekly basis. Patrick’s personality and looks have helped generate interest in the sport more than any other female driver has done. She is one of the most famous drivers there are, making her a marketing machine for NASCAR. Johanna Long:Â Johanna Long has the potential to be a great race car driver. Though she was stuck racing for the underfunded ML Motorsports team in the Nationwide Series, plus Panhandle Motorsports in the Camping World Truck Series a few years ago, Long has shown that she is a talented racer. The 2010 winner of the prestigious Snowball Derby, Long has racked up 41 starts to her Nationwide Series resume. She is currently looking for a new team as her contract expired at the end of the 2013 season. However, if she can sign a development deal with a larger team, she can easily run inside of the top-10 on a weekly basis. Maryeve Dufault:Â Dufault is going to be running a part-time schedule in the Nationwide Series for Go Green Racing in 2014. She ran the majority of the 2011 ARCA Series season, plus multiple races with an underfunded Carter 2 Motorsports team. However, though she has not been able to show it, Dufault does have talent to run inside the top-20 if she can gain the experience to do so. The part-time model would be a great spokeswoman for NASCAR. Though he career is criticized due to stopping on the middle of the race track at Montreal a few years ago at a corner that is all but blind-sighted from on coming drivers, Dufault was able to run inside of the top-15 during her ARCA Series time once she was settled into the car. Cassie Gannis:Â Gannis is another up and coming driver, just trying to piece together some sponsorship. She won the K&N Pro Series West Most Popular Driver award in 2012, but only ran eight races in 2011 and 2012. Though her career has not taken off yet, if she can receive some sponsorship, she might be a competitive driver. She received a lot of attention during Michael Waltrip Racing’s combine, but did not go deep into the competition. Kenzie Ruston:Â Ruston is probably the top up and coming female driver. She has shown to be more competitive than any other female racer over the past few seasons. She caught the attention of Turner-Scott Motorsports after running a few ARCA Series races for Venturini Motorsports, finishing 10th in her first two races. 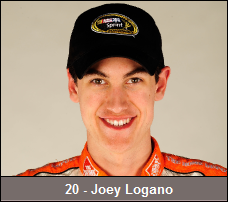 In 2013, the rookie was extremely competitive in the K&N Pro Series East, finishing sixth in points. Though she did not lead any laps, Ruston showed the consistency that no other rookie had. She finished on the lead lap in all but two races, and she would have finished in the top-five in points if it were not for that crazy wreck at New Hampshire. Ruston recently signed on with Ben Kennedy Racing to drive the No. 96 car for a full season once again. Even though the team is smaller than TSM, Ruston may be better off as they won two races in 2013 and finished fourth in points. Also, she is dating Daniel Hemric, the guy that won the Southern Super Series championship in 2013. Hemric also ran very competitive during his first two Camping World Truck Series starts with Sharp-Gallagher Racing. Mackena Bell:Â Bell was able to run the full season in the K&N Pro Series East in 2013 after getting her name out there in 2010. One of the members of the Drive for Diversity campaign, Bell ran with Rev Racing in 2013, earning four top-10 finishes. Her performances were inconsistent, but if she can find funding to race with another team, she might be able to improve. However, at 23-years old, there is not much time left to do so if she wants to be in one of the top-three NASCAR divisions compared to the amount of drivers which are successful by the age of 25. Leilani Munter:Â Munter might not be a young driver, but she is very interested in racing stock cars. Though she has not raced in NASCAR competition, Munter has raced in the ARCA Series, and tested at Daytona in December with Venturini Motorsports. 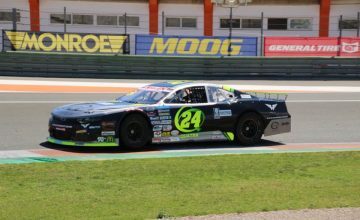 She was able to perform well during the test, but if she is actually serious about being a full-time driver, she will need sponsorship to run more races with one of the top ARCA Series teams. Amber Colvin:Â Colvin made it to the final round of MWR’s driver development challenge. She was beat out by two great drivers. However, she performed well at each challenge that was given. Colvin a legends car champion in Florida, and has won several races since 2011. The only thing which she is missing is funding. Other than that, she is qualified to race in the ARCA Series or K&N Pro Series, where she could be a championship contender right off the bat. As she continues to make connections in the racing world like each of these other young drivers, she attempts to show her marketability which is going to be the difference maker for all of these inspiring women. You have left off so many others, this is almost a joke! Sara fisher had a development deal with RCR and ran the Winston west series. Tammy Jo Kirk ran Busch races. Lynn st James ran some road races. And so many more!